As we know that JAVA was developed by Sun microsystems, now here is the berief history of how the language originated. In 1990 Sun Microsystems Inc(US) has conceived a project to develop software for consumer electronic devices that could be controlled by a remote.This project was called Stealth Project but later its name was changed to Green Project. But here the major problem was that when using C or C++ for developing the Project, but these languages are system dependent languages and hence could not be used on various processors, which the electronic device might use. So there is a need of another languages which should be completely system independent. Now they started developing a language which was initially called as Oak. Since this name was registered by another company, later it was changed to JAVA. But why they choose the name Java?? ?While theey were developing language, they were consumed a lot of tea, so they felt that they were able to devlop a better lnguage because of this tea they consumed and hence, they fixed the name Java. By September 1994, they developed a java-based Web browser, names as HOTJava.HotJava was the first browser having the capabilities of executing applets. This time, Java’s potential in the context of world wide web was recognised. 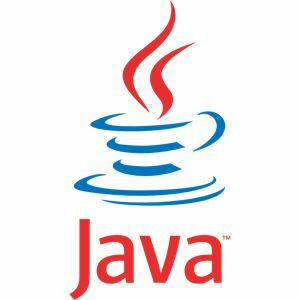 Sun formally announced Java & HotJava at SunWorld conference in 1995.On January 1996, JDK 1.0 was relleased. Today more than 5 millions people use java and more than 2 billion devices run java.